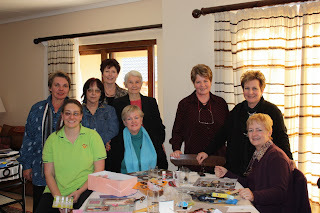 This is all about a scrap-party we hosted! Wow, what a day! 10 lovely ladies, of whom only 2 were current scrappers at the time! 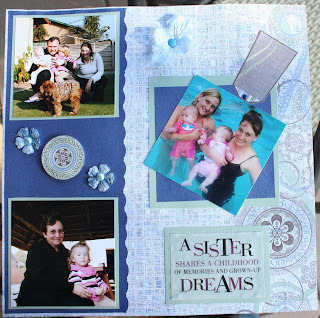 The ladies had to make a double page layout representing themselves. All the layouts were given to the birthday girl. 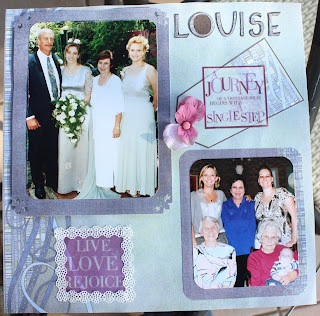 She now has a stunning album bursting with memories of all of her best friends of the past 50 years. We had so much fun!!! Daai dame in die helder groen het definitief die kleurskema van die dag gemis! A great, big, warm welcome!!! 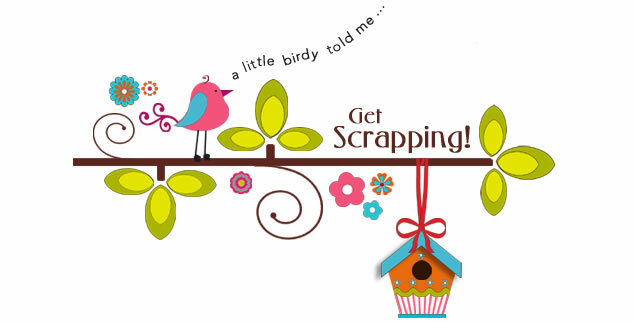 Get Scrapping is devoted to supplying scrappers in South Africa with affordable kits and supplies at the best prices. This is our promise to you! She who dies woth the most supplies - wins! What kind of scrapper are you?